The Alpha Bud strain of marijuana is a heavy flowering, fast growing Indica of unknown lineage. She requires as little as six weeks flowering time in some cases and always finishes within eight weeks. She grows very well indoors in a Sea of Green setup. Professional growers in California recommend stocking your 3 x 6 flood table with at least 32 clones transplanted into 2 gallon pots. 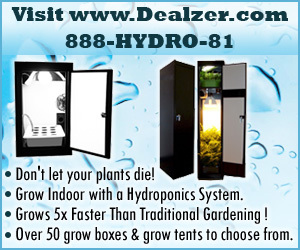 Provide plenty of HID lighting, quality drip nutrients, water that has been purified through reverse osmosis, carbon dioxide enrichment, temperature control, PH control along with plenty of love and watch your Alpha Bud medicinal cannabis plants burst into production mode! Smoking and/or vaporizing Alpha Bud medical-grade cannabis is a holistically natural method to combat loads of adverse health conditions including chronic depression, chronic pain, insomnia, poor appetite, anorexia and many more. Never let anybody tell you that your Alpha Bud marijuana is not highly beneficial as and all natural, organic medicine. Of course, multibillion dollar generating pharmaceutical companies would have you think otherwise. They spend a lot of money creating negative hearsay about Alpha Bud cannabis, and about medicinal marijuana in general. Don't listen to them. Go with what you know already. You know that Alpha Bud marijuana is one of the planet's most beneficial medicinal agents. Use it at will to heal yourself! Alpha Bud 4.36 out of 5 based on 5 ratings. 5 user reviews. Such a great indica that really relaxes me for a wonderful and great sleep. Perfect to end your day with this strain, I use it as my sleep buddy. Anytime you say alpha you expect the absolute top of the pack. This is a great bud, but it is not the top of the strains. I did like that it works to relax me at bedtime. But didn't put me to sleep. Seems I always kinda go back to my fav indica. This was a real sticky treat. Used my pipe to make it last. Helped my pain really good, Didn't take a whole lot to feel good. VERY stoney bud, knock you on the couch kinda bud...def. helps sleep disorders as i have insomnia and i just woke up lol. the smell is just amazing, i am smelling it now and believe me, wake and bake time is up. the taste is more of a sweeter pine, kinda hard to explain but it tastes awesome. the texture is VERY sticky even after its been in a jar for about a few hours it stays moist, and now here comes the bad part...it burns VERY quickly, my bowl took me 3 hits and it was gone. overall: 8/10 good bud for sleep!